Zabieg angioplastyki tętnic wieńcowych staje się pojęciem, w ramach którego tworzą się obszary podspecjalizacji. Jedna z nich poświęcona jest leczeniu przewlekłych okluzji (CTO, ang. chronic total occlusion). 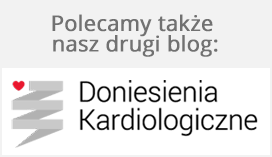 Zabiegi angioplastyki, w tym wskazaniu, są uznawane za jedne najtrudniejszych, najbardziej wymagających i najdłuższych. Nic więc dziwnego, że liczba operatorów, którzy specjalizują się w CTO jest ograniczona. Tym trudniej jest młodym kardiologom inwazyjnym zdobywać rzetelną wiedzą w tym zakresie. W tym kontekście wyjątkowo pomocny jest interaktywny kurs e-learningu CTO opracowany przez zespół ekspertów pod kierownictwem prof. Khaldoon Alaswada, MD, FSCAI, FACC, FSVM, RVT z Appleton Heart Institute. Identify the 5 evidence based reasons to attempt revascularization of CTO’s. Understand the use of ischemia based revascularization strategies in patients with CTO. To describe vascular access equipment and guide catheters during CTO-PCI. To describe coronary guide wires and micro catheters for CTO-PCI. To describe subintimal dissection and reentry equipment. Assessment of pre-procedural angiogram with regard to CTO vessel characteristics and importance of collateral injections. Identification of pre-procedural risks and strategies to prevent contrast induced nephropathy. Operator strategies to decrease risk of radiation induced patient skin injury. To understand basic guidewire characteristics and types. To understand the concept of Penetration Power and how it differs from Tip Stiffness. To understand how differing guidewire types are used in CTO PCI. Understand the available techniques for antegrade dissection re-entry and how they differ. Describe the basic components of the BridgePoint System and how they are used. Understand the antegrade and retrograde steps in a retrograde dissection reentry approach. Appreciate the sizing for the antegrade balloon in retrograde dissection reentry. Differentiate the anatomical variables that determine an initial wire escalation or dissection reentry approach in retrograde CTO. Discuss situations in which snaring may be needed to facilitate externalization. Describe the equipment needed and steps involved in snaring and wire externalization. Discuss the benefits of snaring and externalization. Understand the characteristics of a good externalization wire. To understand methods for evaluating and formulating strategy for CTO PCI based on initial angiogram. To develop and understand methods for contingency strategies and procedure planning in CTO PCI. To understand a standardized algorithm for technical approaches for CTO PCI to mazimize safety, effectiveness and efficiency. Understand the rationale for the use of the transradial approach for CTO PCI. Learn the proper equipment to use. Understand what can or cannot fit in a 6F guide. Understand the key elements required for Informed Consent. Understand the guidelines for how much detail is required for adequate Informed Consent. Understand that an allegation of “lack of informed Consent” is usually legally considered as a medical claim requiring expert testimony rather than as a civil charge of battery. To introduce the concept of the CTO team as an essential strategy for successful, safe and efficient CTO PCI. To discuss several important steps for the development of a successful CTO program.